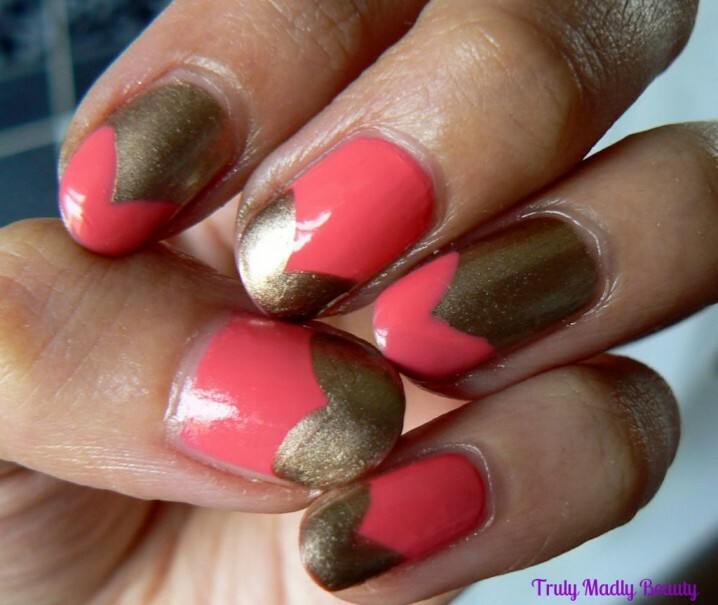 If you are looking for a new idea for your nail designs, than maybe you would love to the try a new nail trend. 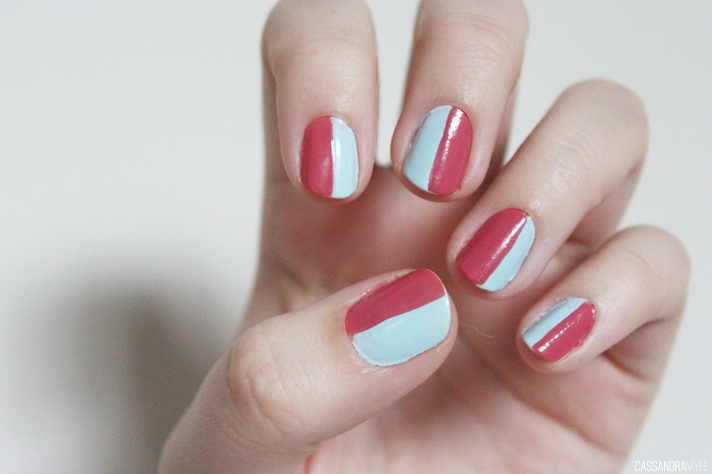 And that trend are the two-tone nail designs. 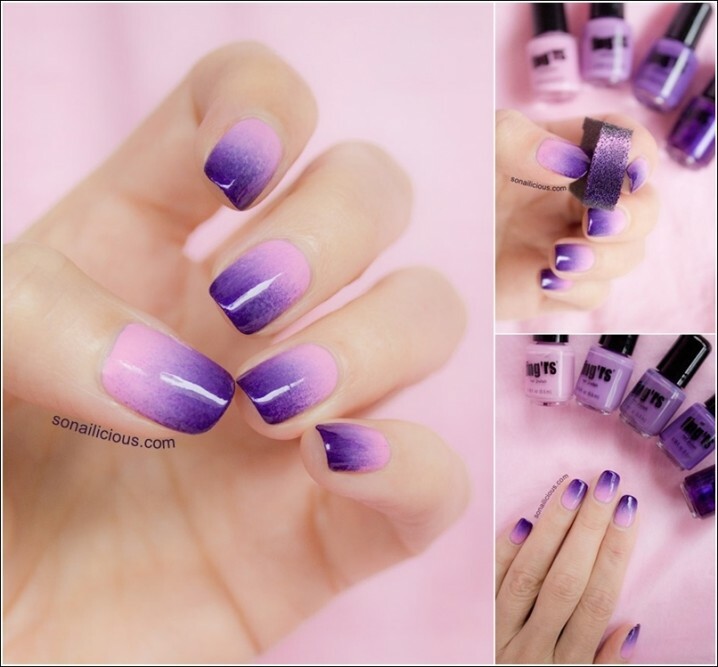 These nail designs are super easy to be done and you will convince yourself about this after checking out the following photo collection of several awesome two-tone nail designs. 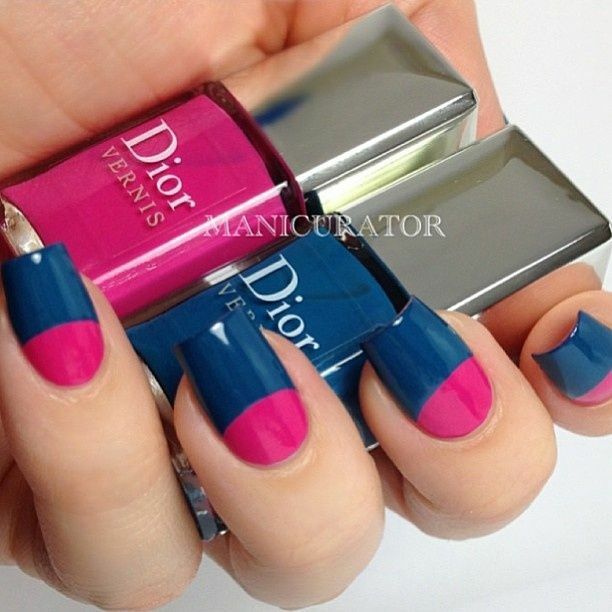 What you need to do first when doing this type of nail design is to choose the colors. 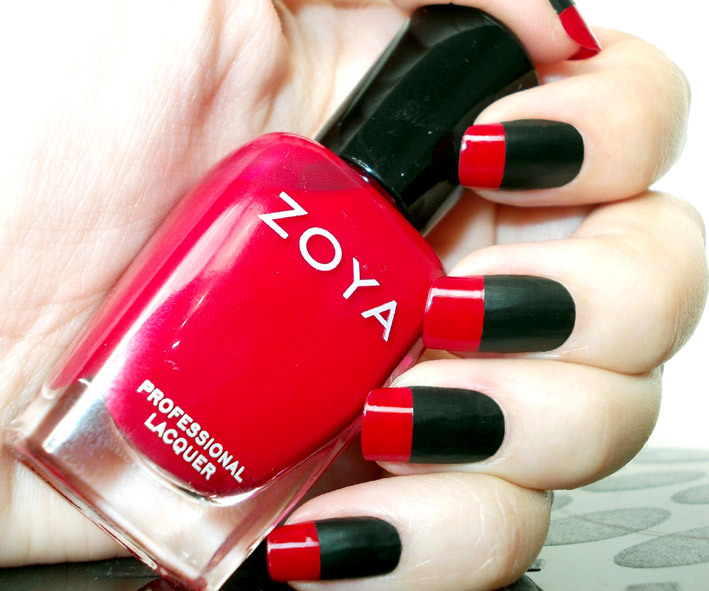 Our advice is to pick some contrasting colors and of course make sure that these two colors match with each other. After that you will need to decide how you will do them, whether you will go with vertical, horizontal or diagonal position. 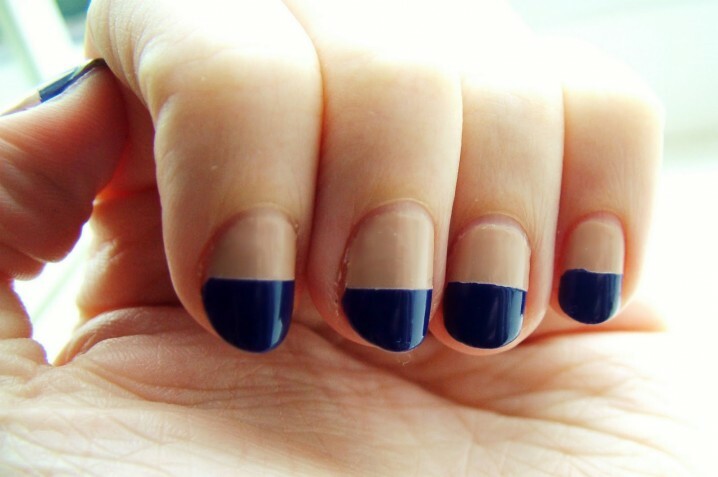 Or you can do some half moon manicure. 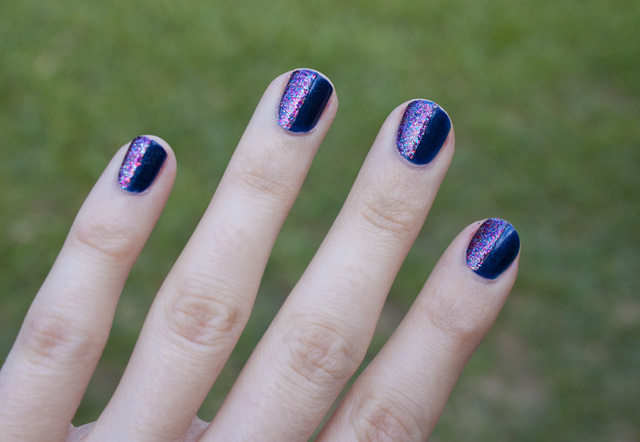 The easiest way to do these nail designs is by applying one color to the nail and after that with the use of a washi tape paint the rest of the nail. 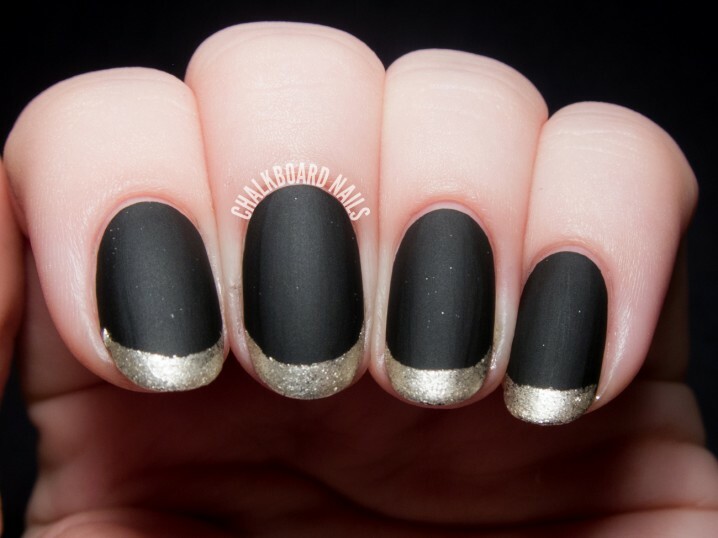 Remove the washi tape and you have the perfect two-tone nail design. 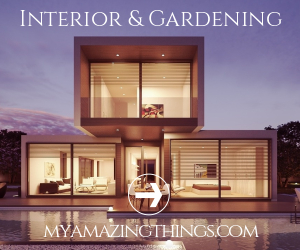 And now check out our ideas below and choose which one you will try first. Enjoy!